This product is digital only, and does not include a physical dvd. Upgrade your AeroPilates practice with the Precision Series Reformer 608. 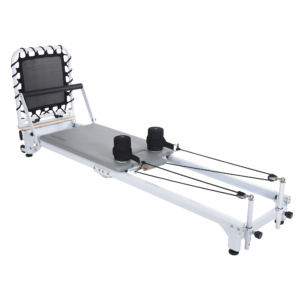 This sleek Reformer will help you trim fat, shape the upper and lower body, increase your mobility and promote improved cardiovascular health. 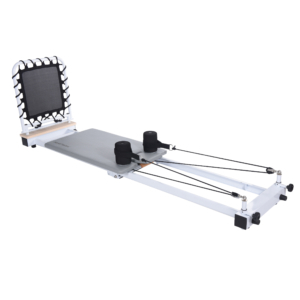 The Precision Series Reformer 608 comes with all the tools you need to progress in your Pilates journey. Four springs offer eight different combination levels of resistance. Switch between the two light resistance springs, indicated by the yellow band, or the two heavier resistance springs, indicated by the blue band. Use the Patented Cardio Rebounder lying down for a fun, strength-building, calorie-burning exercise. Best of all, rebounder is easier on the joints, hips and spine when compared to running on a treadmill. When you’re ready to shift over to more traditional Pilates exercises, the upgraded, wider and padded foot bar is an ideal place to start. Follow along with a Pilates expert by accessing the FREE online video packages included in this Reformer set, the Primer and Basic Workout Package. The AeroPilates Primer gives you all the foundational tools you need to get started on your new Reformer, along with a basic introductory workout. The Basic Workout Package comes with two more workouts using the Cardio Rebounder and foot bar. The Precision Series Reformer 608 contains several features that will keep you comfortable during your workout, so you can focus more on what matters most: achieving results. When using the platform, the aluminum rails and ball-bearing rollers provide a smooth movement. Stay comfortable while moving with the wide, padded platform, high-density foam shoulder pads, adjustable headrest and double loop, padded hand and foot straps. Adjustable pulley risers allow you to customize the angle of the straps. 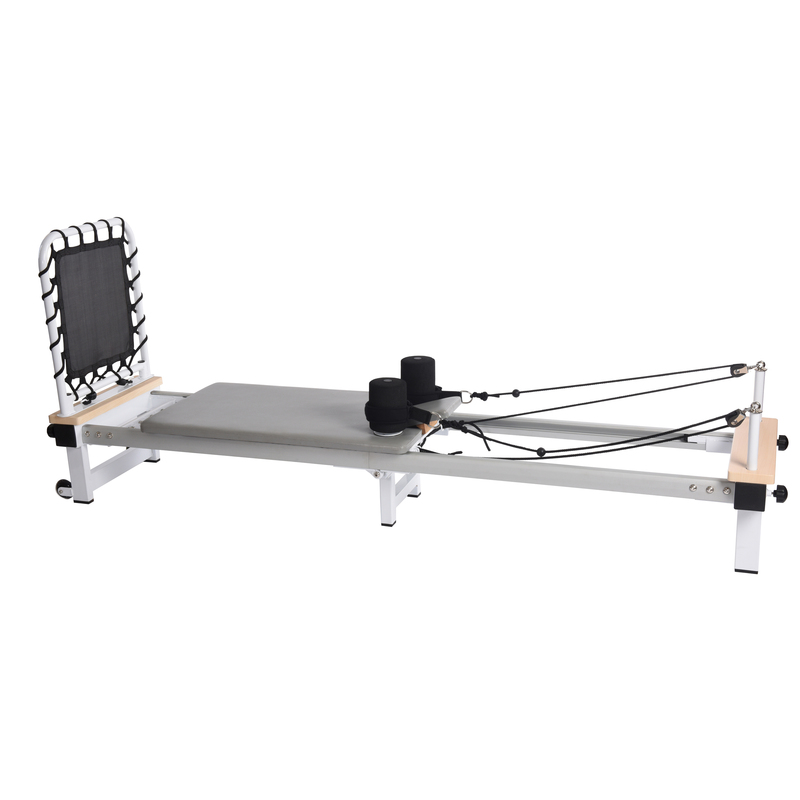 The modern gray and wood trim design makes this Reformer a standout for any Pilates workout area. After you’ve finished your workout, the Reformer 608 easily rolls to the nearest storage area. Discover the power of AeroPilates with the Precision Series Reformer 608. Use at home to improve flexibility, strength, cardiovascular fitness, and reduce stress. Copyright 2018 © Stamina Products, Inc.